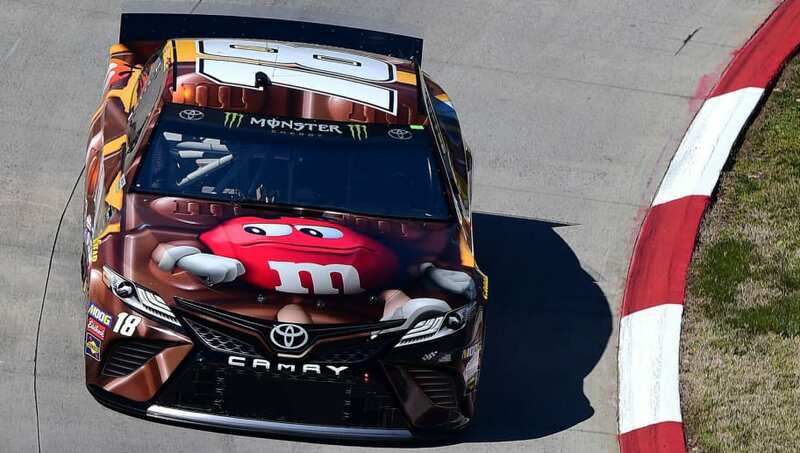 After Kyle Busch's impressive win in the Auto Club 400, drivers, fans and bettors alike prepare for this weekend's STP 500. Let's take a look at some drivers to consider in your NASCAR fantasy lineup this Saturday, March 24. Busch is going for back-to-back wins here after his aforementioned win at the Auto Club 400 last weekend. He's been one of NASCAR's hottest drivers this season and has a good chance to continue that trend at Martinsville Speedway. He finished second in this race last season and then grabbed a win at Martinsville in the fall. He has started in the top five spots here in the last seven races at Martinsville, so expect him to be near the pole again on Saturday. Busch also has a ridiculous average finish of 2.6 this season. Logano is the defending champion for this race and has started in the top 10 in 12 straight races here. Logano has also finished seventh or better in four of his five races this season. Eight drivers finished in the top 12 in both Martinsivlle races last year. Hamlin has six top-10 finishes in his last nine starts and came away with a second-place finish at Martinsville in the fall. Hamlin hasn't won since the Daytona 500, but has an average finish of 6.8 since then. Additionally, Hamlin has won this race three times.